Black Seeded Simpson (45 days) Heirloom from the 1850s.. Leaves are bright green, ruffled and crisp. Drought tolerant. Lolla Rosa (70 days) Heirloom. Lovely magenta leaves with a green base. Mild flavor. Cut and grow again. Oak Leaf (50 days) Heirloom from the 1850s.. Green oak leaf shaped leaves with a sweet mild taste. Cut and grow again. Good type for warmer weather. Radichetta (50 days) Heirloom. A cold hardy variety from Italy with good resistance to bolting. Long thin stems with green serrated leaves. Red Deer Tongue (65 days) Heirloom. Pointed red leaves resemble a deer tongue. Resists bolting and is cold resistant. Red Oak Leaf (55 days) Heirloom. Bright bronze red leaves with deep ruffled edges. Very sweet. Biondo Ortolani (55-65 days) Heirloom. Classic romaine shape and taste. Good cool weather variety. Cimmaron (Little Leprechaun) 65 days - Heirloom variety dated to the early 18th century with 12 inch deep red heads. Crisp and tender. Slow to bolt. Valmaine (70-75) Heirloom. 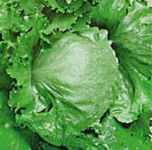 The perfect lettuce for salads, this variety has large leaves and crispy ribs. Good variety for hot or cool weather. Forellenschluss (55 days) - This Austrian heirloom has thick lime-green leaves speckled with maroon. Lovely gourmet variety that resists bolting. Jericho (60-65 days) Rare variety from Israel that was developed to resist bolting and wilting in dry hot summers. The large heads stay crisp and sweet. Parris White Cos (Romaine Blonde Marachiere) 65 days - This heirloom has been a favorite Romaine type lettuce since the 1800s. Resists bolting. 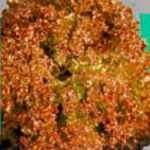 Buttercrunch (68 days) A favorite bibb-type lettuce that stays fresh & crisp and resists bitterness. Brune d'Hiver (Brown Winter) (55-60 days) This French heirloom has crinkled green red-edged leaves. Cold hardy so it makes a good fall crop. Limestone Bibb (70 days) Heirloom from the 1850s originally from Kentucky, with dark green outer leaves and yellow-green inner ones. Best in cool weather. Merveille des Quatre Saisons (Four Seasons,Continuity Red)(45-55 days) This early variety heirloom from France was introduced in the 1800s. Leaves on the outside are reddish-brown, hearts are white. All season type. Pirat (55-60 days) Round buttery heart and tender leaves. Compact habit. Sandrina (60 days) Rare variety that holds up well in cold weather, germinating easily in cool soil. Yellow green leaves. 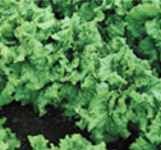 Tom Thumb (55-65 days) Like its name implies, this variety produces tiny heads of crisp green lettuce. Usually is served whole as a salad. Does best when planted in cool weather, spring or fall. Heirloom from the 1830s. Great Lakes (80 days) Large firm heads with slightly crumpled leaves. Very hardy. New York Head (80-85 days) Heirloom dating to 1888. Good solid 3-4 pound heads are tender with white hearts. Reine des Glaces (65 days) French heirloom known as The Queen of the Ices as it is a cold hardy crisphead lettuce with pointed outer leaves that resemble a crown. Lovely dark green leaves with wonderful flavor. Rich's Mesclun Blend (60 days) A mix of colors, textures and tastes. 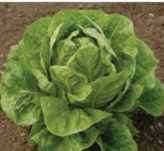 There is great diversity in the lettuce varieties that we offer; which makes the general information provided only valuable as adjustable guidelines. This may also affect your seed planting and propagation strategies and the germination rates under your planting conditions may vary from the seed lot test results. The following soil temperature data is for lettuce in general. Temperatures are average daytime from planting to emergence. Percentage is average germination rate. Days is number of days to emergence.